Summer 1987. Lillian Ginger Speck, high-school graduate, sits in her jail cell contemplating the steps and missteps that led her to murder soap opera star Brooke Harrison in cold blood one bright and muggy New York afternoon. Lily had admired the young star for some time, and her loss is palpable. Her story is therefore part apologia, part love note and suicide pact. Meanwhile, Brooke Harrison’s mother has a tale of her own to tell. In this edgy and compelling “whydunit,” the accounts of predator and victim intertwine. The result is a wry exploration of the contemporary American melting pot of status, beauty, celebrity, violence, and obsession. 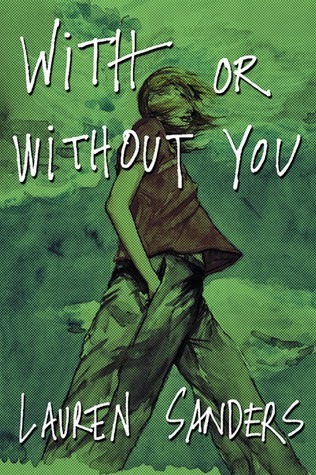 With or Without You combines the aching adolescent heart of The Catcher in the Rye with the dark suburban soul of The Great Gatsby—set against the starstruck voyeurism of American Idol. This book asks the quintessentially American question: Is life worth living if you can’t be famous? I wonder if Lillian G. Speck’s life would have turned out differently if her next-door neighbor, stewardess, and friend, Blair, had not boarded a plane to Paris so shortly after her 13th birthday and never returned. Lily’s brief friendship with Blair reminded me of my own friendship with Valerie, the 16-year-old daughter of the woman who used to sew most of my clothing and a few of my mom’s dresses. Valerie’s mom was amazingly talented. She always used high-quality materials and her garments fit so perfectly that no one in school knew my clothes were homemade. Though I could have done without the frilly dresses, I loved the green corduroy gauchos and hooded vest, the pink bellbottoms, and the colorful tunics that worked as a dress but easily went over a pair of shorts or pants. The more time Valerie spent at our house, the closer I became to her. She was smart, funny, talented, and rebellious. Even though we were just 5 years apart, that length of time feels like an eternity when you’re just 11. She was my second girl crush (the first being my second grade teacher). Her long, golden hair, edgy clothing, and generous smile were a turn-on. While we lay in bed together listening to records or reading magazines, the warmth of her body and the scent of Coty Wild Musk made my head spin. One day Valerie’s mom announced they were moving and that was the last I ever saw of them. My parents were indifferent to my pain, just as Lily’s parents were indifferent to hers. Oh, how I wanted to hug Lily when Blair left. I loved reading Lily’s story, starting with the morning after her crime on July 2, 1987, and ending in April 15, 1988, as she is reflecting on her actions. The story jumps back and forth a lot and the prose felt a little rambly at times, but the characters, dialogue, and setting felt very authentic. In between Lily’s accounts of her childhood and teen years (family, friends, loneliness, alienation), her gradual obsession with soap opera star Brooke Harrison, and prison life, we also get a glimpse of Brooke’s life, told from the perspective of Brooke’s mother. Lily’s friend, Edie, was on a mission to rid Lily of her virginity. Lily was concerned about falling behind on her favorite soap opera and had no idea how to tell Edie that Brooke was her priority. Overall, I liked spending time with Lily and getting to know her. Her story was told with warmth, humor, intelligence, and honesty. In many ways, she was a likable character and easy to relate to. In others, she made me realize how fine that line is between an adolescent celebrity crush and unhealthy obsession. *Review copy provided by Akashic Books.